Surrounded by various sights, famous monuments, historic buildings and several shopping streets, this small, family-run guesthouse is located right in the heart of Vienna. 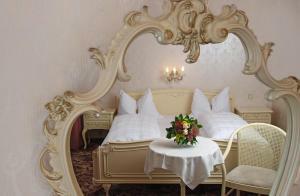 Aviano Pension harmoniously combines Viennese tradition and modern comfort. Furnished in traditional Viennese style, all rooms are non-smoking and are located on the top 2 floors of this historic building. There is no restaurant, bar or lobby at Aviano Pension in order to protect the privacy of the guests and ensure their relaxation. Located in a small side street near Kärntner Straße and Neuer Markt (square), Aviano Pension is only a few steps away from St. Stephen’s Cathedral, the State Opera, Albertina Museum, and the Hofburg Imperial Palace.